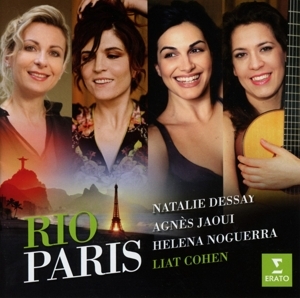 Liat Cohen is a Franco-Israeli classical guitarist. She is the recipient of concert diplomas and first prizes from the Schola Cantorum de Paris and the Conservatoire de Paris, is a laureate of the Ecole Normale de Musique de Paris, and is the winner of international competitions in Rome and Paris. Cohen was the first classical guitarist to receive the Nadia and Lili Boulanger Prize awarded by the Foundation of France. Cohen has played at the Palais des beaux-arts (Brussels), Círculo de Bellas Artes (Madrid), Salle Cortot (Paris), the National Theatre of Costa Rica, the Opéra national de Montpellier, the Musée des Invalides (Paris), the Skirball Cultural Center (Los Angeles), The Palais des congrès de Lyon, the Jerusalem Theatre (Tel Aviv), and the Palazzo Barberini in Rome. She has performed with leading orchestras and at festivals in the United States, Australia, Brazil, Peru, Mexico, Argentina, Costa Rica, Turkey, Sweden and Israel, many being broadcast live on national television and radio including Radio France, Israel Broadcasting Authority and the Australian Broadcasting Corporation.